Homepage / Android / How Far Can a Drone Fly? How Far Can a Drone Fly – Drone is a term to refer to an unmanned flying vehicle or to any unmanned aircraft. Originally this word was used only for large unmanned military aircraft, such as the best-known Predator. Nowadays the media have begun to use this word to specify radio controlled airplanes with more than one rotor, such as quadcopters. Some also call the quadrocopters (and the like) as a civilian drone. The quadcopter drone was an evolution in the line of model airplanes. At first, there were only pilots of combustion piloted by wire, then came the remote control. Then came the helicopters. And with the modern batteries allowed this same equipment could become electrical, greatly reducing the overall cost of the equipment. And with the arrival of sensors and micro-controllers, it became possible to construct an equipment with greater ease of piloting by owning own stabilization and more of the main propeller. It’s the most common question. What determines the communication distance for control is the radio control system. Most professional radio control systems (2.4Ghz) reach at least 1km (reaching 2km or much more in LRS systems – 433Mhz long-range system), but you can only see a maximum of 300m. So summarizing the range of a radio control is much greater than you will be able to see the equipment. Of course, it is possible to use systems (called FPV) to fly beyond the field of view. But this is a future setup. If it is beginner it is not advisable to try to fly away (even with FPV) because of the battery. That is, as much as you put a very strong radio system, the autonomy of a rotary wing drone will always be reduced. What is the range of the appliance? Another very common question. 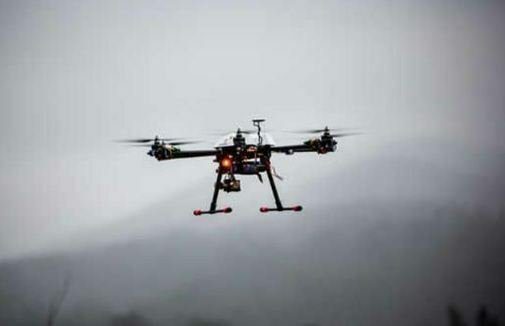 It is difficult to answer precisely, it varies from the type of equipment, the wind, size of batteries, payload, the mode you fly (faster or quiescent in air), the charge rate of batteries and time of use of the batteries. up to barometric pressure and air temperature influences autonomy, as well as several other variables. But consider on average 10 minutes.If you are a beginner, I assure you that you are finding little. But remember it is a flying vehicle, if you fly 100km / h (for example) you reach 16.7km away. And if it is an unmanned aerial vehicle, it is exhausting for the novice pilot to pilot direct more than 10 minutes. You use all your attention, all your senses will be focused and you will be exhausted if you try to fly very straight. The idea is to make short flights, both for the rider to relax and for the equipment to cool down. But there are equipped with specific configurations that fly almost 30 minutes.